These visual identity helpers have long been in existence. However, in order to make them interesting, creative minds integrate exceptional and innovative graphics into them. This is, in fact, a branding tool that represents the company through the person or the executive holding it. Hence, it should be precise yet appealing. A professional business card design is very essential for augmenting the image of a company. 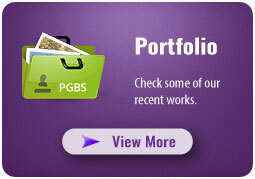 PGBS is a reputed graphic design outsourcing company offering world-class best and unique business card designs to companies across the world. At times, companies fill lots of elements on the cards and yet are not able to impress the stakeholder. Other times, even a few elements touch the right chord. The choice of elements, the type of design, the manner of representation and other aspects depend on the skill and expertise of the professionals. This is what that makes this services no less than an art. The basic elements that need to be present on them are the logo of the company, the name, position of the executive in the company, contact number and email id of the person, website URL of the company etc. Outsourcing to an Indian graphic design company for such services is surely an economical option. Standard business cards: They arrive in standard as well as square and slim formats printed on premium quality papers. Ultra business cards: These are perhaps the most luxurious and thickest card available with an eye-grabbing color towards the piece edges and unique inner sides. Folded business cards: As the name signifies, these cards can be folded. In this variety, you can put in more images and information. Those who have invested enough in logo design services would like to project their logo more in business cards and this would be an ideal choice for them. Uncoated business cards: Here the material is a matte paper on which you can write and hence it suits best for appointment cards and note cards with a classic and clean appearance. Die-cut cards: This is the most creative option you have when it comes to business card. You can get the card printed in any design as you please. The design coordinator will collect all needed details including your ideas and preferences. To minimize revisions and ensure that it falls within the scope of the project, avail maximum details in the initial phase itself. Provide examples that you like or give definite guidelines. Communicate complete requirements via email to avoid all sorts of miscommunication. In case of each revision, carefully do the proofreading to speed up the whole process. After finalization of design, we will send you the source files via proper and secure channels. 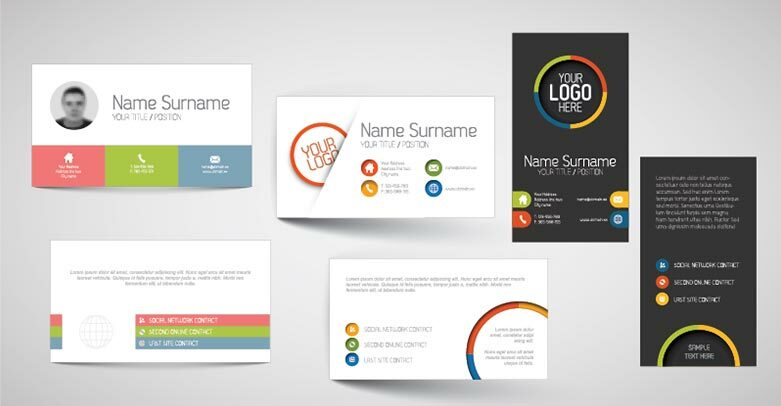 How can PGBS business card design services help you? We have mastered the technique of choosing the right elements depending upon the industry. The professionals here begin the process by studying the background of the company, competition in the market, the requirements of the clients who outsourced to us. These are an identity of your business and an epitome of what and how you work. Each graphic created by our team compliments the functional industry of the client. It makes the customers relate to the terminology and understand various products or services easily. Our designers carry out these services with the utmost ease and the only necessary information is displayed rather than full descriptions. Alignment of text, logo and contact details should be correct and clearly visible. It is the first step towards commercialization. The designs and end output of these should be such that they are handy and fit easily in the wallet or the bag of the executive. They should be easy to present and simple to understand. Our outsourcing team in India keeps these factors in mind while designing creative business cards. A team of creative experts analyses the design when they are created and checks them on various parameters thus ensuring quality output. As a top company offering various graphic design services, we are skilled enough to provide custom and unqiue business card design according to your business. Our visiting card design plays an major role in your business promotional activities. Let the best looking, professionally designed and elegant business cards do the job for you. Our professional custom business cards designing services in India are crafted to design business cards that can elegantly and efficiently transfer your contact details to the concerned people. With the right approach, design elements and creative skills, let us create new business identity—one that stays longer.